TCBENCH series are complete certified optical systems designed for hassle-free development of demanding measurement applications. Just attach your camera, and the bench is ready for measurement. The bench is pre-set to provide unpaired measurement accuracy. The bench is quality tested as a whole system. 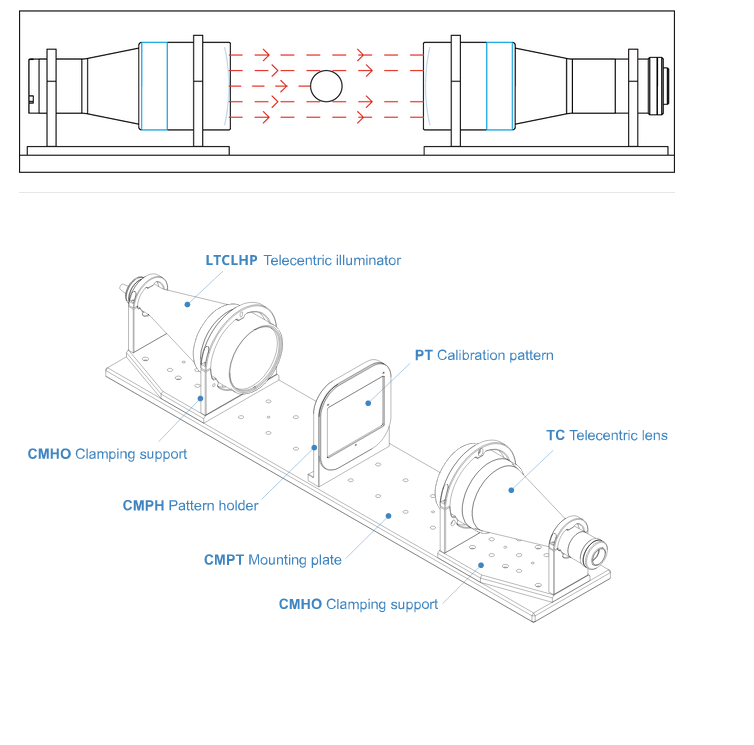 The benches come pre-assembled and pre-aligned to assure the best accuracy that a telecentric measurement system can deliver. The collimating source is set in order to optimize both the illumination homogeneity and the relevant optical parameters (distortion, telecentricity, resolution). 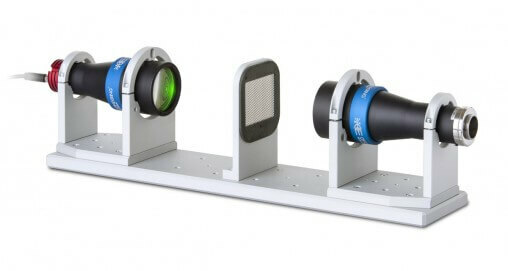 Opto Engineering tests the optical performances of each TCBENCH and provides an individual test report certifying the measurement accuracy of the entire system. Coupling a LTCLHP illuminator with a telecentric lens increases the natural field depth of the lens; this is particularly true for 2/3” detector lenses where the acceptance angle of ray bundles is much larger than the divergence of the collimating source. For this reason these benches feature unmatched image resolution and field depth. TCBENCH also benefit from a special price policy, combining high-end performances with cost effectiveness.